Plastic with Neodymium Magnet constructed, holds up to 50LB weight. Small, lightweight with extremely strong hanging capacity, perfect for organizing indoor/outdoor. Ideal for holding items on filing cabinets, whiteboards, bulletin boards, magnetic maps, classroom magnets, and magnetic boards. Widely applicable for indoor or outdoor in the kitchen, bathroom, bedroom, garage, lockers, office, or refrigerator. Easy installation and removable, WILL NOT damage or scratch to your furniture. 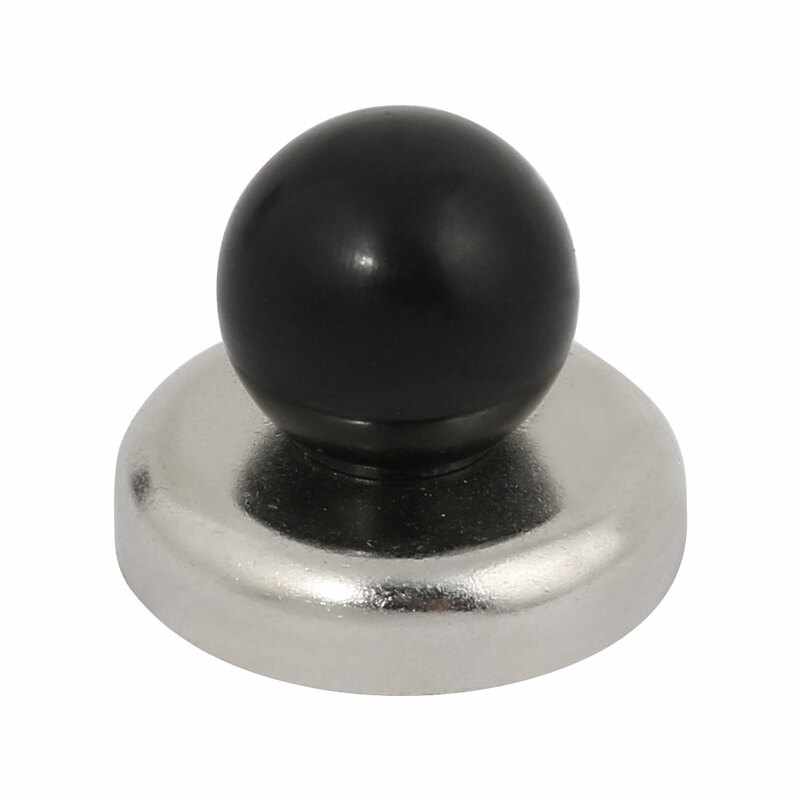 Knob Diameter: 20mm / 0.79"